Does Baking Soda Prevent Apples from Browning? Why Do Banana Peels Turn Brown? Banana peels are subject to several chemical reactions that control their color. 2 Is Eating a Banana With Brown Spots Bad for You? One of the frustrating aspects of buying and using bananas is over-ripening of the peel. All bananas are picked green in their country of origin and shipped that way to try and time the ripening process just right. A browning peel is usually no need for alarm, as long as the brown spots aren't soft or mushy. Banana peel browning is a scientific process that you can control to some degree to either slow the ripening process or hurry it along. Polyphenol oxidase is an enzyme that reacts with oxygen to create brown pigments in fruits, including bananas and their peels. 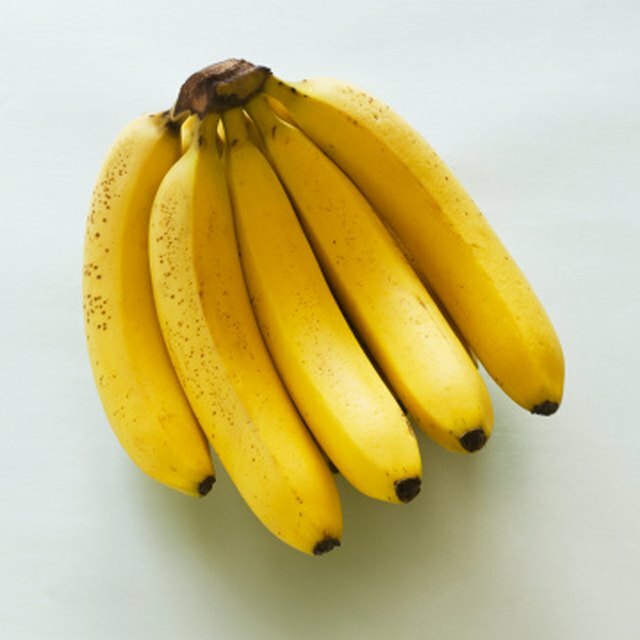 This process is called enzymatic browning, and even though it cuts down on the shelf life of most fruits, browning of the banana peel doesn't mean the fruit inside is bad, but it is and indication that you should eat it soon before it does go bad. Both the peel and the inside of the banana will brown faster once the peel is cut or opened. Ethylene is a hormone that plays a role in your banana peels going brown. Ethylene's function is to break down the complex sugars in fruits to simple ones, and process the pectin, which is there to keep the fruits firm. The pigments in banana peels are also broken down by hormones during ripening, and while the green ones are replaced by yellow ones, that yellow pigment isn't replaced at all, which leads to browning of the peel. When banana peels develop little brown spots, known as "honey spots," the fruit inside is usually perfectly ripe. If you bring bananas home from the store and the peels start turning brown before you're ready, placing them into your fridge will help to slow down the ripening process. It won't stop the peel from browning, in fact the peel may appear black after a short time. However, on the inside, the browning of the fruit will slow down, giving you some extra time before they go bad. This method isn't great if your goal is to make the peels look pretty, but it will help you prevent wasting the actual bananas, or having to eat a bunch of them at once. On the flip side, if you want to use ripe bananas for something and they won't seem to get on with the ripening process, you can help move it along. Set the bananas in a big paper bag and fold it down so it is closed up. Poke a few holes in the bag to let some air in, and then leave it alone on your countertop to ripen. Check it each day to see how much progress you've made. Depending on how ripe they are to begin with, it may not take more than a day. 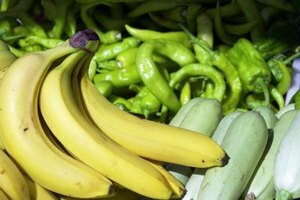 University of California Santa Barbara Science Line: What causes banana peels to turn brown? Can You Eat Clementines With the Peel? Are Bananas Safe to Eat if the Skin Is Dark Black or Brown?